Sign service & installations, vehicle wraps, fleet graphics and more. 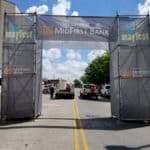 Installing banners for this year’s Mayfest 2018 celebration in downtown Tulsa. 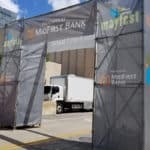 Mesh banners were hung from scaffolding that formed two entrances to the festival. 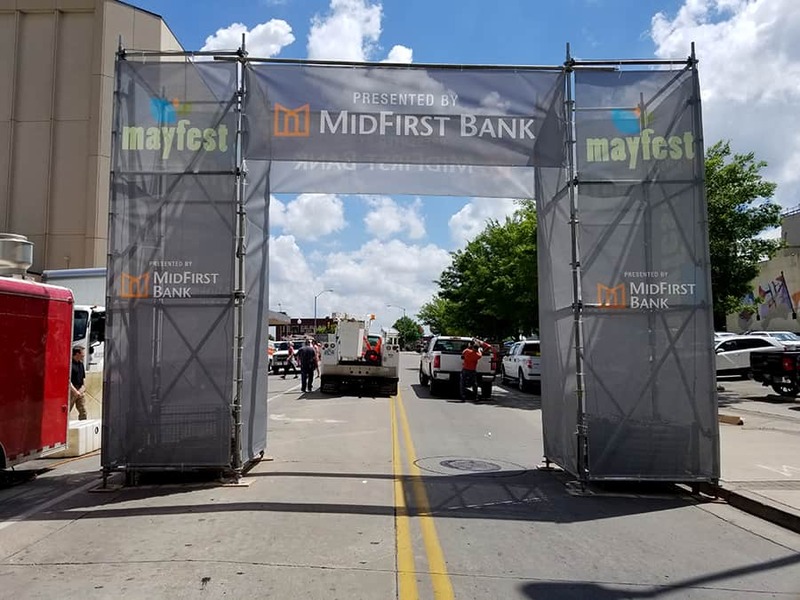 Give Precision Sign & Design a call today at 918-430-1102 to find out more about banner production and installation for your next event. 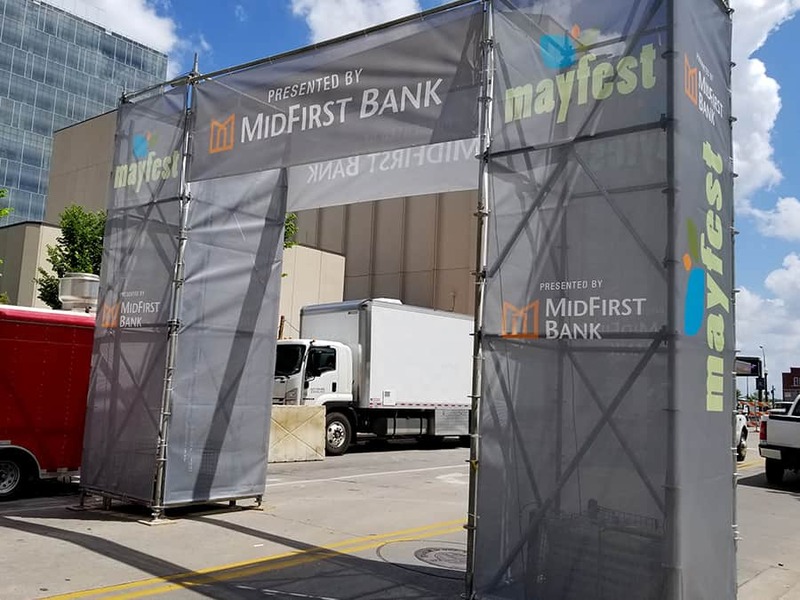 This entry was posted in Signs & Banners and tagged 2018 Mayfest, Awning Banners, Banner, banner installation, Downtown Tulsa, Mayfest 2018, Mayfest Tulsa OK, Mesh banners, Tulsa Mayfest on May 18, 2018 by Steve Ballard. "The new wrap really made our truck stand out! "People see it all over town and when it is at our shop we park it out front and use it like a sign." "Everyone loves the new KMOD wrap! "Actually DC is so pleased he is going to 'show you some love' on the air." "Thanks for the quick turnaround on the banners and storefront graphics. "The designs are great and they make the store look awesome!" "The huge hanging and rotating banner you guys made for the Home and Garden show looked great! "A big thanks to Precision Image!" "We love the awesome wrap on our boat! "Great work, excellent quality at a fair price. I would recommend Precision to our friends and family. We will definitely come back!"